Claude A. Robinson, Jr. was born in Philadelphia, Pennsylvania. To beat the negative ills of the inner city, he attended St. Johns Northwestern Military & Naval Academy in Lake Geneva, Wisconsin for most of his high school years. At SJNMNA, Claude excelled as a student-athlete and leader. He is a graduate of the University of Wisconsin-Whitewater where he successfully earned a Bachelor of Arts in Psychology. He was also co-captain of the 1989-1990 NCAA Division III men’s basketball championship team. Claude went on to earn a Master’s Degree of Science in Counseling at Chicago State University. His interest in sports has turned into a life passion for serving youth. He has recently served as an AAU basketball coach for The Athlete Within and Kenwood Academy High School. He is currently working to build the North Lawndale Athletic and Recreation Association. Claude specializes in the personal development, education and motivation of youth, children and families. A staunch advocate for youth, Claude continually challenges adults to examine their perspectives and diligently strives to build positive youth and adult partnerships. Claude currently serves as the Executive Vice President of External Affairs & Diversity at UCAN. Claude’s work has yielded numerous accolades, including awards from former city of Chicago Mayor Richard M. Daley, Miss Illinois Leadership Award 2001, and WGN-TV Channel 9’s 2000 “Unsung Hero” award. In 2008, Claude led a U.S. delegation on a four city “Best Practice” exchange to the United Kingdom to assist policy makers and community leaders on positive youth development and violence prevention strategies. In addition to his work with UCAN Claude also sits on the Board of Directors for the Illinois Collaboration on Youth, as well as the Attorney Registration & Disciplinary Commission. 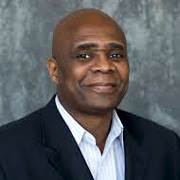 Claude has affiliations with the Chicago Community Development Advisory Council, Business Leadership Council, United Church of Christ Council for Health and Human Service Ministries, Chicago Committee on Urban Opportunity, Latino Policy Forum, Advocate Bethany Fund, Trinity United Church of Christ, and Leadership Greater Chicago. He is involved in a number of recreational, political and community outreach projects and has lectured and presented to diverse audiences across the country. Claude is the proud husband of Heather Ireland Robinson and father of their three beautiful children, Dorian, Damani and Devin.